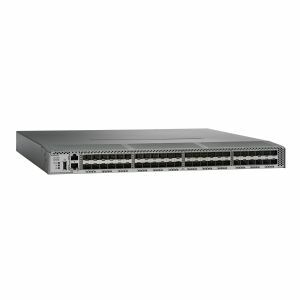 The Cisco MDS 9148S 16G Multilayer Fabric Switch is the next generation of the highly reliable Cisco MDS 9100 series switches. It includes up to 48 auto-sensing line-rate 16-Gbps Fiber Channel ports in a compact easy to deploy and manage 1-rack-unit (1RU) form factor. In all, the Cisco MDS 9148S is a powerful and flexible switch that delivers high performance and comprehensive Enterprise-class features.